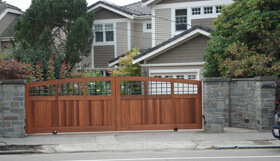 We bring experience to designing and building any size gate, single or double. Our specialty department works with you to create a superior quality custom cedar, hardwood or Azek gate. We offer wood cladding of metal gate frames and specialty gates.